This rare Golden Hind ship model will be available to take home on 1st July 2019. 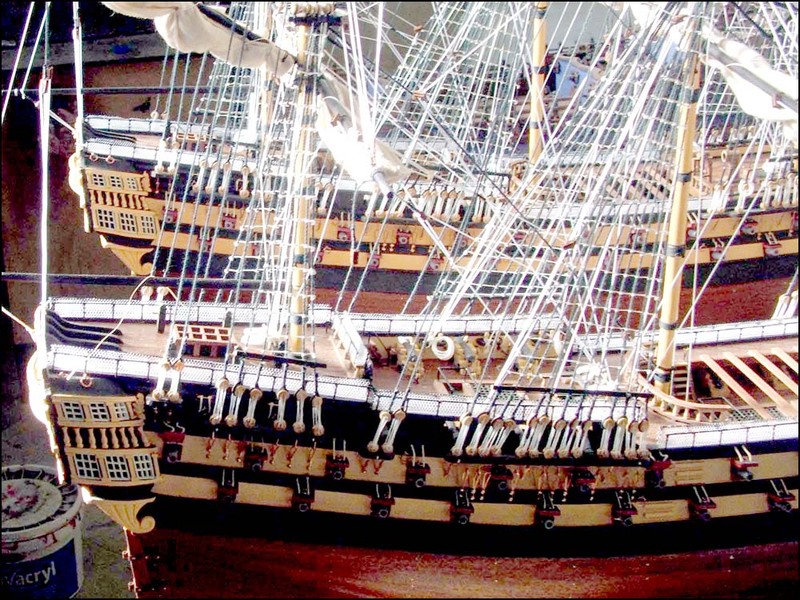 A rare wooden plank on frame model of Sir Francis Drake's ship. In 1577, Sir Francis Drake was the leader of an expedition with the objective to pass around South America through the Strait of Magellan and to explore the coast that lay beyond. At this time the conflict between the British and the Spanish was rife and both powers were competing to dominate the riches of South America. Drake set sail in December 1577 with five small ships, manned by 164 men, and reached the Brazilian coast in the spring of 1578. Drake's flagship, the Pelican, which he renamed the Golden Hinde, displaced only about 100 tons. On 1 March 1579, now in the Pacific Ocean, off the coast of Ecuador, the Golden Hind challenged and captured the Spanish galleon Nuestra Señora de la Concepción. This galleon made the largest capture to date: Six tonnes of Gold. On 26 September 1580, Francis Drake reached Plymouth Harbour with only 56 of the original crew of 80 left aboard. Queen Elizabeth 1st went aboard the Golden Hind and bestowed a knighthood on Sir Francis Drake.